In this post here the Tolix chairs where featured in white. 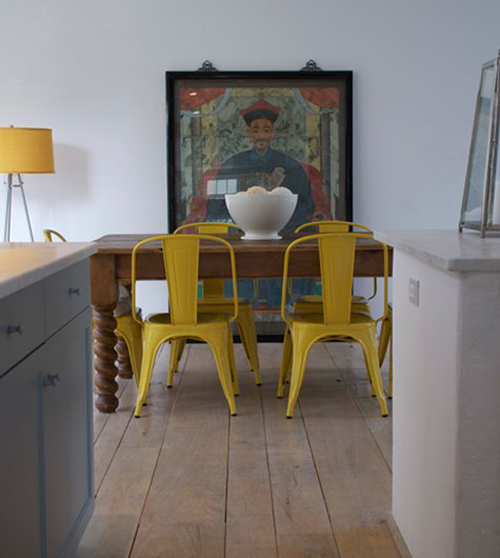 But these chairs are also gorgeous in other colours as you can see in the image above! Hi, Like Your blog and wishing you a wonderful Christmas and a great New Year ! I’m in love with this. Yellow is so organic. It always works! These chairs are so much fun! I love the pop of color — especially yellow! You always have the best stuff on your blog. Love it!